ABOUT US | We're glad you stopped by. 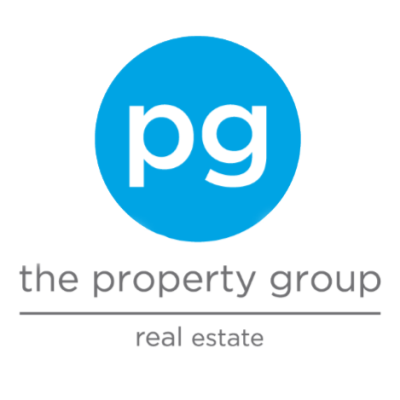 The Property Group is a full-service residential real estate company serving clients across Central Arkansas. Through innovation, exceptional customer service and teamwork, The Property Group's team of experienced agents are dedicated to exceeding client expectations. 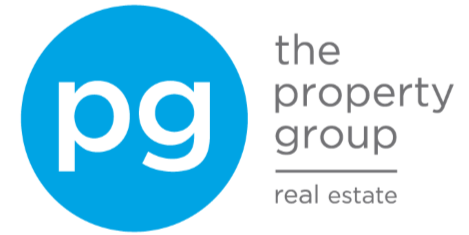 The Property Group leverages the most emergent technologies and social media strategies to helping clients create a place to call home. Contact us today to learn more about how we can help you make your next move. With over 7 years of Marketing, advertising, and client service experience, Abbie has always had a passion for building personal relationships. She is committed to developing further relationships and providing excellent service in her craft. Abbie’s love of helping people, along with her previous work experience, provides a strong combination to help her clients achieve their real estate goals. Raised in Conway, Abbie attended the University of Arkansas and earned a degree in Marketing with a minor in Real Estate Finance. Her career began in the marketing profession in Little Rock for several years prior to moving to Northwest Arkansas to work in digital marketing. Since relocating back to Central Arkansas, Abbie puts her passion and experience to work assisting homeowners at every stage of life. Outside of real estate, Abbie and her husband Jonathan enjoy spending time at the lake, golfing, biking and hiking with their two golden retrievers, Sadie and Dickson. The Perry Team is a family. We are a husband and wife team. From Pulaski County’s diverse towns to the farm country of East Arkansas, we know this state and we want to share it with you. When it comes time to make one of life’s most exciting decisions, experience matters. And we have experience – more than 15 combined years of it. But we are even more than that. Client input is everything to us. You will be heard, because this experience is about and for you. We are here for you when you need us, and we’ll stay in touch however you like best to communicate. Let’s get started. With more than 30 years of living and working in Little Rock, Betsy puts all of her experience, knowledge, and passion for the community to work for her clients. From Downtown Little Rock to Chenal and everywhere in between, Betsy can help you find the perfect place for you to call home. As a native of Little Rock, Betsy loves and appreciates this beautiful city and state and all it has to offer. When not hard at work for her clients, Betsy’s main focus is her family which includes her husband, Ben, and her two kids, Ann Ramsay and Barrett as well as all of her extended family. As a lifelong member of Pulaski Heights United Methodist Church and a member of the Junior League of Little Rock, Betsy loves giving back to the community that has given so much to her. Betsy would love to hear from you and help you find your dream home! As a Little Rock native, few things are more rewarding to Cara Hazlewood than helping others their perfect home in Central Arkansas. A place where they will raise kids, entertain good friends, or simply relax after a long day’s work. Cara is committed to developing personal relationships with clients and providing exceptional service. You deserve an enjoyable real estate experience, and Cara looks forward to helping every step of the way. As Principal Broker for The Property Group, Cara offers her experience when working hand-in-hand with fellow PG agents to provide the highest level of customer service to the firm’s clients. In addition to her role as Principal Broker, Cara also serves on the Board of Directors for the Little Rock Realtors Association and makes it a priority to stay current with happenings in our local real estate community. Outside of real estate, Cara and her husband, Michael, enjoy spending time outdoors enjoying our beautiful state and traveling to sunny destinations. With over 10 years of hospitality experience, a career in real estate has always been on Colby’s radar. Raised in a household that firmly believes that southern hospitality and strong values are a way of life, Colby takes pride in creating memorable experiences for everyone he works for. Sharing the unforgettable experience of finding the perfect home for his clients is what Colby loves the most about his real estate career. Raised in Forest City, Colby attended the University of Arkansas and earned a degree in Hospitality and Restaurant Management. After college, he worked in hotel sales and operations for 10 years before deciding to pursue real estate. Outside of the office, you can find Colby anywhere outside: golfing, cycling, fishing, or hunting. With more than 15 years in sales and management, Dana puts her skills in negotiation, communication and project oversight to work for her clients. From first time home buyers to those in pursuit of their next purchase, Dana understands that it takes more than four walls and a roof to make a house a home. A native Texan turned Little Rock local, when she is not in the office, Dana’s focus is her husband, Jeff, and daughter, Evelyn. As a member St. James United Methodist Church and a graduate of Leadership Greater Little Rock Class XIX, Dana also values taking time to give back to the community. Contact Dana today to find out how she can help you reach your real estate goals. David grew up working with his father’s company, Martinous Oriental Rug Co., picking up and delivering rugs to different homes. Through this, he learned a great appreciation for architecture, interior design, and real estate as a whole. An Arkansas native, after attending Catholic and Central High School, David moved to Los Angeles where he spent over a decade working in the film, TV, fashion, tech and music industries. With strong Arkansas ties, David moved back to Little Rock six years ago where he and his wife, Missie, (now expecting the arrival of a baby boy!) are passionate about animal rescue and adoption have volunteered for multiple local rescue organizations. What David enjoys most about real estate is the high level of customer service he is able to provide to his clients and the impact his service leaves them with. To David, nothing is more impactful than helping people find their perfect home. David goes by the mantra “Better Every day”–something he always used for sport but has taken it into all spectrums of his life. To David the saying means never settling and always striving for excellence, something David puts to work everyday in helping clients achieve their goals. Dee has a passion for finding your solution in the real estate market. Having lived in Little Rock for over 30 years, Dee know sneighborhoods, their amenities, schools, restaurants and where to find the best deals in town. With over 15 years of professional experience in marketing, customer service and design, Dee provides expert, friendly and creative guidance in your real estate journey. When not living real estate, Dee spends as much time as possible with family, designing, cooking and gardening. Contact Dee today and let her assist you in achieving your real estate goals. As a detail-oriented, hardworking, and motivated individual, Hannah also happens to love houses and working with people. Hannah prides herself on working hard to ensure that every client feels that their needs are met in a timely manner and that they enjoy themselves throughout the process of finding their new home. Making sure to deliver superior customer service and putting a high emphasis on getting the best financial value for her clients, Hannah is proud to offer her services as a Realtor with The Property Group. Hannah’s skills, paired with The Property Group’s high achieving social media outreach and marketing strategies, help position her clients for success. Hannah looks forward to hearing from you and having the pleasure of guiding you home! Born and raised in Little Rock, Jess Blackwell Short has a strong bond with the community and knowledge of the Central Arkansas area. She has seen the area evolve into the real estate market it is today which will aid her in finding her clients the perfect home. Jess graduated from the University of Arkansas at Little Rock with a Business Finance degree in 2012. After graduating, she worked in the medical field as a patient liaison for over half a decade. During this time, Jess grew to love her interactions with patients while simultaneously forming meaningful relationships with them. Her years in customer service motivated her to get her Real Estate license so she could begin helping others in her community achieve their goals whether they are buying or selling a home. Jess’ outgoing and positive personality drives her commitment to go above and beyond to provide excellent customer service and ultimately a great experience to all her clients. You can count on Jess to always listen and put the client’s needs, wants and priorities first. In her free time, Jess and her husband, Kyle, enjoy taking their adorable pup Rico for walks and spending time with their family and friends. She also enjoys going to the lake, floating any river, watching Razorback sports, and listening to music. After a fifteen-year absence from real estate to pursue other interests, Kathy returned to a Realtor career in Central Arkansas, where she has lived all her life and where she and her husband Jay raised their two children, Matt and Alexis. She says that, even while working at her church and later at the Arkansas Press Association, that she was never able to get the real estate industry out of her system, and now is back with an excitement and energy to help her clients realize their goal. Kathy enjoys time with her family and friends, whether it’s traveling with them to the beach or Razorback games, or planning and cooking those big holiday meals. Kris McKenzie is a second generation Realtor who combines her love of the industry with her passion for helping people and interior design. With over 7 years of sales, marketing, and client service experience, Kris has built a strong network in Central Arkansas. Kris’s business is built on: Dedication, Communication, Determination and Trust while incorporating the ability to cater and adapt to all of her client’s Real Estate needs. Kris’s love of helping people, along with her previous sales and marketing experience, provide a strong combination to help her clients achieve their real estate goals. Raised in North Little Rock, Kris attended the University of Arkansas and earned a degree in Communications with a minor in Business. Her career began in the sales profession in Little Rock for several years prior to starting an interior design business in Central Arkansas. As a Little Rock resident since 1999, Kris and her three children are enthusiastic members of their community and enjoy the arts, traveling and spending time outdoors enjoying all of the natural beauty our state has to offer. Originally from Birmingham, Alabama, Kristen Hinson decided to call Little Rock home after meeting her husband, a Little Rock native, in college at the University of South Carolina. She has been in the capital city since 2008, and she and her husband have a little girl and two pugs. Kristen got into real estate in January 2015 just after the birth of her daughter. She wanted a career that was flexible and would allow for her to be present at all the special moments in her daughter’s life and a career that would allow for her to meet new people and have a positive impact on them. Kristen loves the fact that every day in real estate is different, no two clients are alike and that is what makes it so exciting and interesting. Throughout the entire process of selling/buying, Kristen looks forward to interacting with all the people involved. “Do good and care not to whom,” is a motto Kristen goes by and hold to it strongly in both real estate and in all other parts of her life. When not in the office you can find Kristen at a Little Rock Chamber event fundraising for the Cystic Fibrosis Foundation or reading to kids thru the AR Reads Volunteers in Public Schools program. Laura Chambers-Stoltz is a proud Arkansas native who truly enjoys our natural state. Her experience in sales, business and customer relations has allowed her to develop a unique and extensive skill set. She and her family relocated to our area from Northwest Arkansas and currently live in West Little Rock, in Chenal. She has loved getting to know the area and appreciates the vast amount of opportunities to keep her family active and thriving. Laura understands firsthand the challenge of moving to a new community, and she is here to help ease the transition process. Whether you are familiar with Little Rock, or coming in from another town, buying or selling a home, she can provide you the support you need. She is very familiar with all Little Rock’s amazing neighborhoods and can help you determine the one that is best for you and your family. Laura is driven by honesty, loyalty, and her passion to help others. She puts customer service at the forefront of her expectations and believes in serving others to build lasting bonds, while creating a healthier, happier and stronger community. When you work with Laura, you become family, and she will work tirelessly to help you get the results you desire. Laura uses the latest internet marketing tools to serve you best. She utilizes these tools to ensure that your property is exposed to the maximum number of people possible, to help you find that buyer, or to help give a buyer the best possible options to find their new home. Laura would be honored to serve you and our community, by advising you with the best possible knowledge available in the real estate world today. Contact Laura today to help you in your journey to buy or sell your home successfully. Having lived on both sides of the Arkansas River, Lindsey knows first-hand the unique benefits both Little Rock and North Little Rock have to offer. Because there’s nothing more personal than choosing where to call home, Lindsey brings a strong, people-first approach to all she does. For Lindsey, the goal is to consistently provide an incomparable client experience, turning first-time clients into long-time clients and friends. In her free time, Lindsey enjoys traveling, spending time with friends and family, and of course, like the true Arkansas girl that she is, calling the Hogs! Lindsey lives in West Little Rock with her husband and two dogs, Sasha Fierce and Kennedy. With a love for all things real estate, Maradyth McKenzie’s reputation as a trustworthy, resourceful, and dedicated real estate agent serves as a tremendous asset in helping clients find the best investment for their family and future. A native of Northeast Arkansas, Maradyth earned Bachelor of Arts degrees in Business Economics and Politics from Hendrix College in Conway and a Master of Business Administration degree from the University of Arkansas at Little Rock. With years of experience renovating properties throughout Midtown Little Rock with her husband, Colin, Maradyth enjoys putting her real estate experience to work in helping others navigate what can, at times, feel like a daunting process. Whether working with first-time buyers or representing seasoned sellers, Maradyth’s warm personality, patience, and honesty distinguish her from others. Maradyth’s primary objective is to help clients reach their goals while making the most of their investment. From her role as an actively involved member of Junior League of Little Rock to volunteering at her son’s school, Maradyth’s dedication to the community she calls home provides her with the natural ability to relate to people from all walks of life. With a unique background in real estate, Maradyth’s work as both a professional and volunteer in the nonprofit field have served her equally well in her role as a Realtor. Efficiency, professionalism, and attention to detail have been hallmarks of Maradyth’s personality and are traits that allow her to approach any deal with skill. Her number one priority is that clients enjoy the real estate process, and Maradyth is here to help every step of the way. With over 10 years of experience working with buyers and sellers, Margaret Bell Hughes prides herself on her reputation of being accountable and going the extra mile for both clients and colleagues. An Atlanta, Georgia native, upon moving to Little Rock in 2010, Margaret has enjoyed all that our great city has to offer. A staple in the Downtown Little Rock real estate market—with sales topping $30+ million since 2013—Margaret’s experience equips her clients with the knowledge and guidance to make the best decisions for their needs. Whether searching for the perfect Downtown condo or a home providing enough space for a growing family, Margaret’s clients know they are in great hands. Margaret along with her husband, Casey, and daughter, Betty, call Little Rock’s historic Hillcrest neighborhood home. In their free time you can find them at one of their favorite local restaurants, the Little Rock Zoo or fly fishing on the LIttle Red River. Nate Perry is a native of Arkansas, born and raised in Little Rock. He studied Marketing at both Baylor University and the University of Arkansas in Fayetteville. Beginning his career in transportation logistics, Nate was able to put into practice his talent for forming relationships and brokering sales that ensured the needs of both the buyer and seller were consistently satisfied. Nate’s altruism led him to leave transportation behind several years later when his twin girls, Aspen and Harlow, were born. With his wife working long hours at a demanding job in healthcare, he spent those early years providing the care and support that his young family needed at home. Nate’s welcoming and charismatic personality is a natural fit for the real estate industry. With encouragement from family and friends, he decided to pursue a career with The Property Group. Known for his exceptional customer service, Nate is dedicated to ensuring a positive experience for his clients. In his free time, Nate enjoys playing golf, the sounds of a great music playlist, traveling, and exploring the outdoors with his wife and twin daughters. Robert Klein is the co-founder of The Property Group, the most innovative residential real estate brokerage in Little Rock. Klein began selling real estate in 2007 and quickly established himself as one of the top selling brokers in Central Arkansas. During his career, he has earned multiple awards from the Little Rock REALTORS® Association as one of the top-producing brokers among the organization’s 1,400+ members. In October of 2012 Klein and business partner, Cara Hazlewood, established The Property Group and in 6 years have grown the company from a two-person outfit to more than $200 million in sales. Today, The Property Group has over 20+ agents and represents clients in all areas of Little Rock and throughout Central Arkansas. The firm has divisions for residential, development marketing, relocation, and advisory services. A highly energetic and creative entrepreneur, Klein is focused on implementing his vision for a real estate company in which both the broker and client experience the highest level of service and support. He is primarily responsible for the recruitment and retention of The Property Group’s brokers, as well as the development and implementation of the firm’s award-winning marketing programs along with Hazlewood. Klein also created and oversees the company’s signature training, education and performance programs utilized by brokers each year. Klein is also one of the industry’s most valued advisers to local law firms in the area. He takes an active role in all facets of his clients’ projects, including marketing, sales and negotiations. Under Klein and Hazlewood’s direction and leadership, The Property Group has successfully marketed developments and individual sales representing more than 1100 units valued at over $200,000,000+. Klein’s accomplishments have been widely recognized by the real estate industry and the broader business community. Honors include: Inman Incubator Finalist; Arkansas Business Best of Biz Residential Realtor and Brokerage; AY Magazine Best Realtor; Soiree Best Realtors for 7 years running; and At Home Local Favorites. Klein and The Property Group support a number of charitable and civic organizations through PG Promise, The Property Group’s philanthropy arm. Past and present beneficiaries include: Arkansas Foodbank, Single Parent Scholarship Fund, and Arkansas Prostate Cancer Foundation. Separately, Klein sits on the Pulaski Tech-UA Foundation Board. He is also a member of Westover Hills Presbyterian Church. Klein resides in Midtown with his son and enjoys all things outdoors. A Texas native with strong Arkansas roots, Virginia Ann Prazak brings a unique perspective to The Property Group. Virginia Ann began her real estate career in 2007 while also attending law school at the University of Arkansas. Originally hailing from Texarkana, she is licensed to practice both real estate and law in Arkansas and in Texas. Additionally, she is a certified relocation professional, available to assist her clients with all aspects of the life changes that come with a move. Virginia Ann is an accredited buyer representative and an accredited pricing strategy advisor. Whether buying or selling she is the one you want in your corner. One of Virginia Ann’s strongest assets is her devotion to giving back to her community. She is an active member of the Junior League, a volunteer and civic leadership training organization for women, and an advocate for children and families, having served as a part time CPS attorney for the State of Texas. Dedicated to the betterment of the real estate profession, she is a member of the Professional Standards Committee and has previously served four years on the MLS Committee for her local Board of Realtors. Virginia Ann is a graduate of St. Edward’s University in Austin with a degree in Communications and of the University of Arkansas School of Law with a Juris Doctor. When not working, she enjoys spending time with her husband and two daughters, and visiting Fayetteville for Razorback games.